Advertising Association warns regulation is 'complicated' for advertisers. Transport for London has promised to help brands win exemptions if they get caught up unfairly in the "unintended consequences" of its junk food advertising ban, which comes into effect on 25 February. Chris Macleod, TfL’s director of customer and revenue, said TfL had been talking to advertisers and held an all-agency meeting at City Hall earlier this month to discuss the ban on food and non-alcoholic drinks that are high in fat, salt and sugar and to explain how to apply for exemptions. London Mayor Sadiq Khan’s HFSS ban, which covers all of TfL’s estate, including the London Underground, the bus network and taxis, is aimed at curbing childhood obesity. TfL is using Public Health England’s existing Nutrient Profiling Model, a scoring system that calculates the amount of fat, salt or sugar per 100 grammes, to decide whether to ban an HFSS ad. An advertiser can apply for an exemption – if, for example, a product is "not generally consumed by children". TfL’s policy says: "It is for the advertiser to demonstrate (in case of any doubt) that any product is not HFSS, and/or that an advertisement is not promoting HFSS products, and/or that there are exceptional grounds." Macleod said in an interview with Campaign at TfL's Southwark offices that some products such as olive oil, pesto and vegetable spread might fall foul of the ban and he said TfL wanted to prevent "unintended consequences", even though its research suggested that such products were "not a big advertising category". TfL has so far had "very few" applications for exemptions. "We’re not surprised by that because they’re not big advertisers," he said. Macleod said a second grey area was what he called "incidental food", where an HFSS product might appear as part of a larger advertisement or where "it was not the purpose of the ad". In the case of incidental food, TfL will look at each ad on "a case-by-case" basis to decide whether it should be banned or if the advertiser could pick an alternative product or if there is an HFSS product that it is "so insignificant in the ad that it would be silly to restrict that". He added that TfL was "trying to be sympathetic" and to "make ourselves available" and did not want advertisers to jump to "conclusions about what’s banned and what’s not banned" without a dialogue. "There are burgers that are HFSS and some that are not," he said. "It might be a better picture than people realise [when it comes to what food and drink are compliant]." Macleod conceded some aspects of the system could be "confusing" for brands that "aren’t familiar" with Public Health England’s Nutrient profile model, even though it has been used since 2004 and has been the basis for TV regulation since 2007. Ad industry sources said TfL has tried to engage with advertisers and one described the dialogue as "constructive". However, the Advertising Association warned: "Our view is that the current exemption process is complicated for advertisers. "It is putting pressure on businesses, in particular SMEs, that could be eligible but may decide it is simpler to reallocate advertising spend into other media, or indeed, other areas of their business." TfL pointed out it had "done a lot of work to communicate the changes", including guidelines on its website, and promised to "provide additional support" for SMEs. 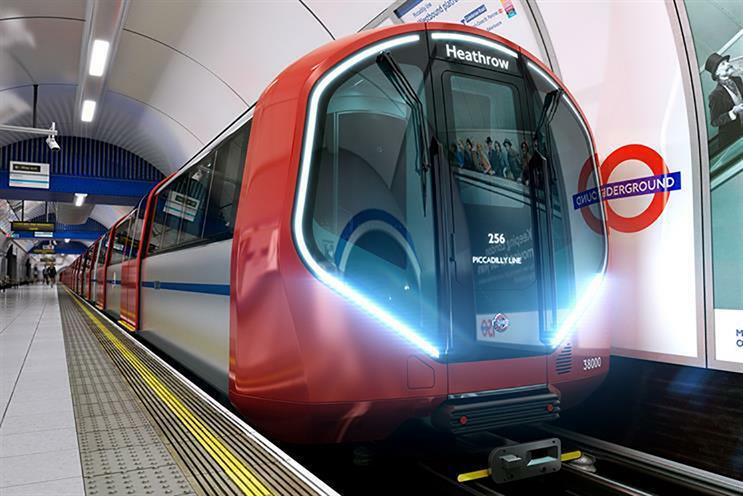 Macleod said TfL had been keen to send out a message to advertisers in recent years that it is "open for business" and "collaborative" and noted it had banned "very few" ads in the past as it encouraged advertisers to "pre-submit" potentially contentious work. He conceded that some advertisers would spend in alternative media channels as a result of the HFSS ban but said TfL had not seen an exodus of brands. "We think, on early indications, no major advertiser who has HFSS products has said, ‘I’m out’," he said. Macleod stressed that TfL had not looked to ban any category of food or particular brand and pointed out some companies were already advertising healthier options to comply with the HFSS regulations. "We don’t have good and bad brands," he said. "This is totally focused on product. We are not naming and shaming." He admitted one category, chocolate, would find it "very hard" to get around the HFSS restrictions and is unlikely to advertise. A company that has HFSS products in its portfolio must actively promote "a healthy option" and cannot run a "brand-only" campaign, without any product. TfL has some of Europe's most valuable out-of-home advertising real estate, which is thought to generate in the region of £225m a year. TfL, which relies on advertising revenues to help to fund the cost of the transport network, made £152m in the year to March 2018, up £10m on a year earlier, despite economic uncertainty over Brexit. The rest of the money was shared by Exterion Media, which has the contract to manage ad sales for the Underground and Overground rail network, and JC Decaux, which looks after TfL's bus shelters. Industry observers expect TfL to take a hit on advertising revenues from the HFSS ban but Macleod said it was "quite hard" to gauge the impact and dismissed past speculation that there could be an annual loss as high as £25m to £35m as "way off". He pointed out that some companies that might previously have advertised HFSS products were promoting healthier products, rather than stopping advertising on the TfL estate. Some cola companies switched to advertising only low-sugar and diet products years ago. There were 16,000 ad campaigns on TfL last year, of which 452 were for drink and 297 for food, but HFSS products might also have featured in larger categories such as retail. TfL has been able to increase revenue from electronic screens and panels, such as the new "digital ribbons" that run alongside escalators at several key Underground stations. The junk food ban comes at a critical time for Global, the new owner of Exterion Media, which is facing a Competition and Markets Authority investigation into the acquisition. TfL’s Advertising Steering Group has described the HFSS restrictions as "not only breaking new ground for the UK" but claimed they are "world-leading measures". Advertising chiefs around the world are watching closely because other local authorities could follow TfL’s lead. Amsterdam has introduced similar restrictions. Critics have complained Khan’s ban is politically motivated and questioned how TfL compiled its evidence, which included a survey of the public, to justify the restrictions. Macleod said TfL was acting as "an instrument of the Mayor" but described the HFSS ban as "good and worthwhile" because of the focus on childhood obesity. "There is no sense that this will fix the whole problem," he said. "It’s part of a whole food strategy for London." He hoped the HFSS advertising ban might extend to all of London over time. "We would hope that that all outdoor in London, particularly, would eventually follow our lead," Macleod said, noting that Khan was "trying to set a standard here" as he did with so-called body-shaming ads in 2016. Macleod admitted that it could be possible for advertisers to reach TfL passengers via other media channels, including free newspapers such as Metro and the London Evening Standard, which are given away across the TfL estate, or on social media such as Facebook, which a commuter might see on a smartphone. Controlling ads seen via TfL’s wi-fi network is "not currently in our control", he said. TfL has committed to a review in spring 2020 to assess how the HFSS ban is working. The Advertising Association said: "We are in new, uncharted territory when it comes to decision-making on which advertisements run and why and there is no obvious, simple solution to the conundrum brought about by this ban. "At the same time, we stand ready to work with the Mayor on other ways that advertising can effectively address the childhood obesity crisis faced by our capital city, in a way that does not impact on business growth or jobs."